Liverpool winger Xherdan Shaqiri has pulled out of the Switzerland squad after sustaining a groin injury. The issue has been described as "a painful inflammation in the groin area" and he will now miss the Euro 2020 qualifiers against Georgia and Denmark. 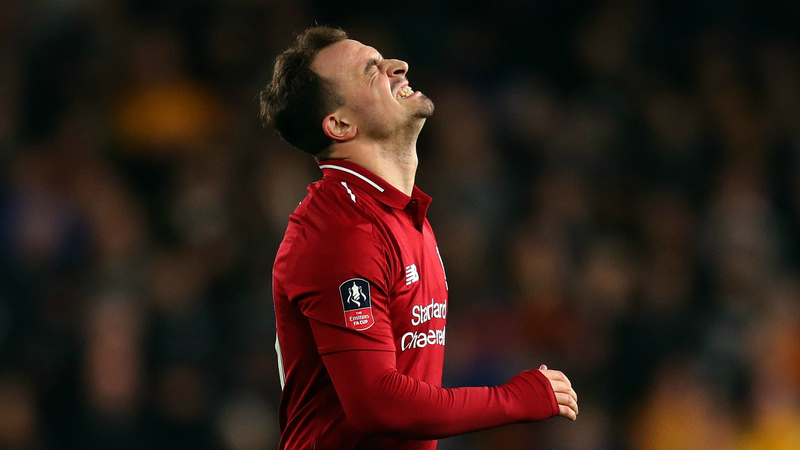 Shaqiri has been on the periphery for Liverpool in recent weeks but Jurgen Klopp will be loath to lose a member of his squad ahead of a season-defining run of matches. The Reds are through to the Champions League quarter-finals and are challenging for the Premier League title, thanks in part to the six goals Shaqiri scored from October to December. Switzerland will announce a replacement for the 27-year-old on Tuesday. Gibraltar and the Republic of Ireland are the other nations joining Vladimir Petkovic's men in Group D of Euro 2020 qualifying.